Try TidySurveys for your next employee engagement survey! Employees are the ambassadors of your brand. The link between employee satisfaction and customer satisfaction has been extensively validated through various academic and trade industry research. Frankly, nobody in doubts this, or even underplays this. Satisfied employees who are engaged with the brands they represent create better experiences and value for customers across the board — and that results in more revenue per customer and referrals. The impact of true employee satisfaction can’t be imitated with just operational standards and instructions. Resources: Employees have the required tools, training and resources to do their jobs. Teamwork: The organization supports teamwork and the mutual achievement of common goals. Work-Life Balance: The ability to balance the demands of work against time for family and lifestyle. Opportunities for Growth: Career paths and employee development. Pride in Product/Service: Pride in the quality of the product or service produced by the company. Mission & Purpose: Alignment of individual goals against corporate goals. Management: Management’s ability to support employees and get the job done. Fairness: Policies and problem resolution. Communication: Clarity and appropriate knowledge transfer. Engagement: Commitment to the brand and organization. 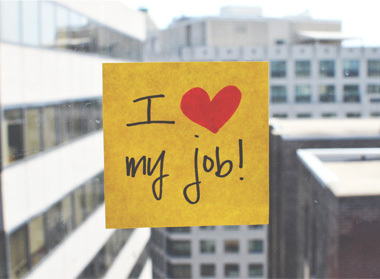 TidySurveys will help you design employee engagement surveys to identify the employee perceptions that have the biggest impact in employee satisfaction and retention for your brand or company — so you can take the right actions at the right time and in the right area of your organization. And if you already collect customer feedback data, switching to TidySurveys for your customer feedback surveys, plus employee engagement surveys, will help you identify your biggest opportunities to cost-effectively improve the bottom line, morale, perception, satisfaction, and more. Get started today with TidySurveys making better employee engagement surveys. Get Started today!